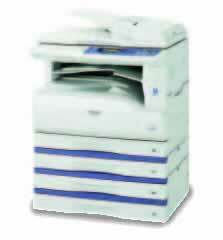 Refurbished Sharp copiers for sale. Our sales and service team covers Southern California, Inland Empire, Los Angeles County, Orange County, Riverside County, San Bernardino County. Want to keep up with today's fast-paced and graphic-intensive business communications? The AR-M207 has all your basic office needs covered in one powerful document solution that delivers ultra-efficient copying/printing, brilliant colour scanning, and optional Super G3 faxing. In addition to its extensive range of superb copier and printing functions, the AR-M207 offers convenient connectivity for small workgroups with a Smart Sharing interface for up to 3 users. And with options available for powerful network printing/scanning, the AR-M207 even has the functionality to grow with your business. Conveniently packaged in a compact and user-friendly design, the AR-M207 delivers the power and ease-of-use that today's businesses are looking for. 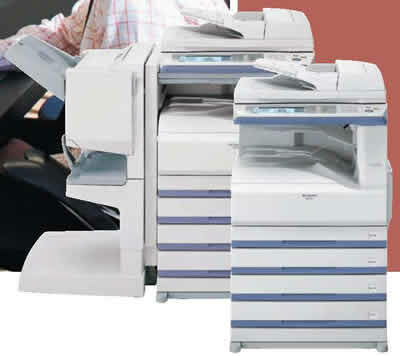 Scan2 Technology increases productivity, enhances reliability, and preserves document integrity. 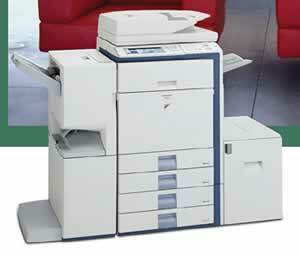 Sharp's MX series colour multifunction document systems aer truly a departure from the ordinary. With an advanced scalable design, the new MX2300N and MX2700N offer all of the features you expect from a robust B&W MFP with the added benefit of cost-effective colour.